Even though Apple hasn’t published any official numbers, reports are surfacing across the web saying that the company is creeping closer to 20 million iPhone 6 and iPhone 6 Plus sales, according to Forbes. If 10 million sales wasn’t enough in just the first three days that the new phones were available, the company certainly is closing in on its rumored 70-80 million sales goal by the end of the year. And just like the bigger than bigger phones from Apple, our slimmer than slimmer cases are flying off of our shelves! We’d like to thank all of our fans while we work as fast as we can to offer more of our favorite (and your!) colors and designs. Don’t forget- the easiest way to find out FIRST about our new iPhone 6 cases and iPhone 6 Plus cases is by signing up to be notified. You might even check top retailers and carriers nationwide for Speck cases in exclusive colors you won’t find on our website. Not sure which case is right for you? 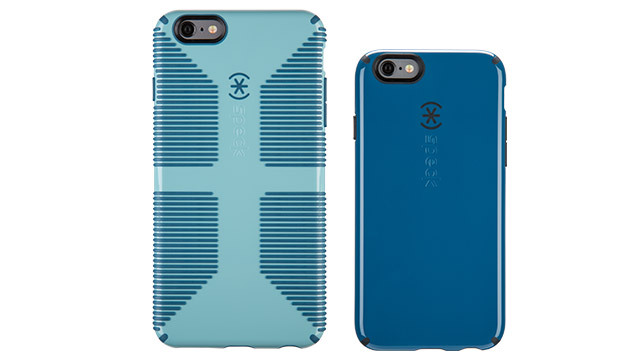 Take our quiz to see which Speck case fits your style.